Unless you’re familiar with the events industry, knowing where to start when it comes to audio hire can be a daunting task. That’s why we’ve put together a useful mini checklist for you to ensure every possible decision is covered when hiring audio at your next event. 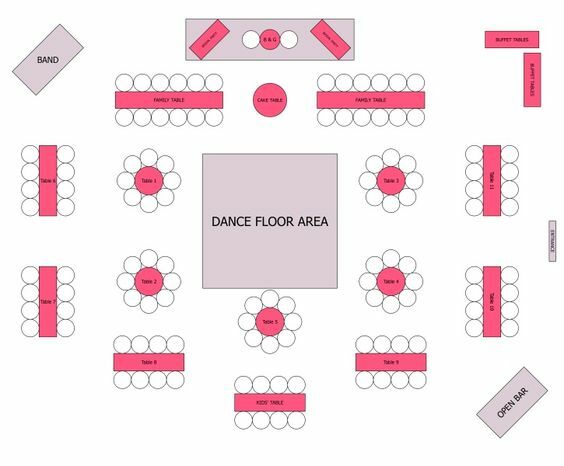 Having a clear idea of your floor plan is the first starting point so you can clearly visualise the room/event space and where you need the sound to project. For most wedding and party function events, the most suitable position for the audio usually is near the band and DJ as it won’t block the thoroughfare, there will be no guests sitting or standing directly in front of the speakers and it’s most likely to be positioned somewhere close to the centre, therefore able to project across the room. If you’re hosting a corporate event, it’s best to position the speaker and sound audio system towards the front or back of where the audience is facing. This will ensure the sound is best projected evenly across the room. It’s also a good visual cue to guests of where the main event is or audience focus should be. This is an easy one to forget. If you’re planning a corporate function or event, it’s good to know if you have any attendees with hearing impairments. Whether it’s to gently remind your client to look into a sign language support presenter, or to be able to identify guests and where they are located in proximity to sound equipment in the room. This is also to be considered if you have elderly guests who usually have poorer hearing and appreciate the event positioning taking care of this. Plus, you don’t want your great grandparents to miss out on the important speeches – or do you?! Speakers, microphone, PA systems, speaker stands or a wireless mic receiver – there’s a lot to choose from when it comes to audio hire! Once you’ve narrowed down the list of items you need, you’ll be better placed to make decisions on the details. For example, whether you need a subwoofer or just regular speakers, do they need to be battery powered or corded, or whether one of Party Hire Groups’s DIY party packs or PA systems has everything you need. Booking your audio hire in advance is recommended to ensure everything you need is secured and ready for your day. If you have any questions or queries about which audio hire is most suitable for you, our team of experts at Party Hire Group are more than happy to help. Simply give us a call on 1300 33 99 81 and one of our friendly staff can assist you.